Main Line Health experts know that allergy symptom control is most successful when multiple management approaches are used simultaneously. We offer the latest in comprehensive, personalized care that includes education on ways to minimize your exposure to allergens, and therapies to improve your quality of life through desensitization with allergy shots, as well as the latest medications. 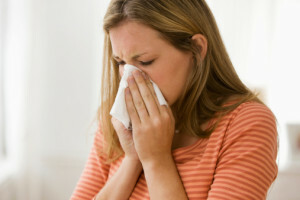 Immunotherapy (allergy shots) – long-term treatment for many people with allergic rhinitis, allergic asthma, conjunctivitis or stinging insect allergy that decreases sensitivity and often leads to lasting relief.